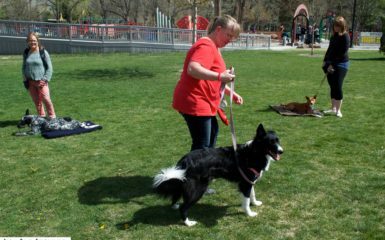 Many of my dog training, Salt Lake City, clients ask about tethering their dogs when entering stores. This post is to help educate you about why tethering your dog, even for a short time, can be a dangerous choice with stressful consequences. This past week I was at Harmon’s, and I saw a dog running inside the store. My heart dropped, as I remembered the time when I lost my dog and how worried I was about finding him again. I recruited some people to help me catch the dog. Luckily the dog had tags but no leash attached. We called the owner. The owner was in the store and had tethered his dog outside. I wanted to educate him and remembered that unsolicited feedback can create drama. I bit my tongue and watched him tether his dog again and walk back into the store. 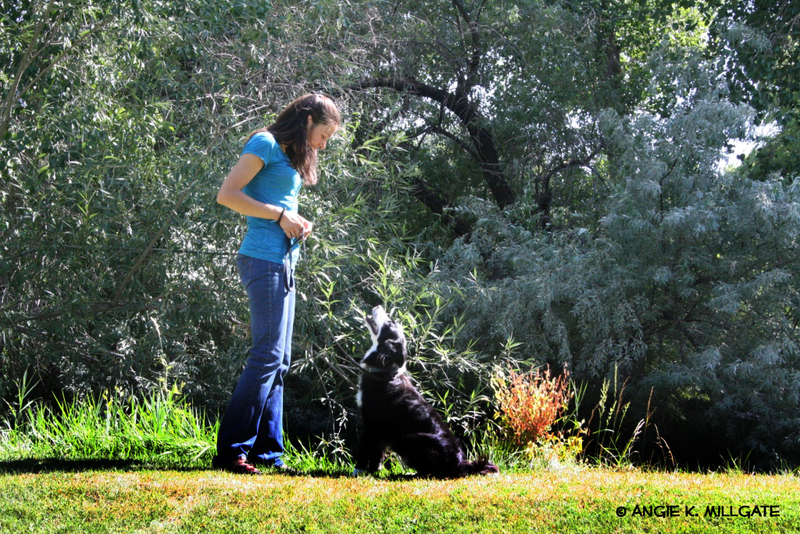 I decided to share my stress with another Salt Lake City dog training friend of mine. Through our talk I realized that I can use this experience to publicly educate people. So here I am blogging. So what is so bad about tethering your dog and walking into a store or coffee shop for just five minutes? 1.) Your dog can easily be stolen by anyone. Click here for more information on pet theft. 2.) Even a dog that has received obedience training and is super friendly may bite when tethered. 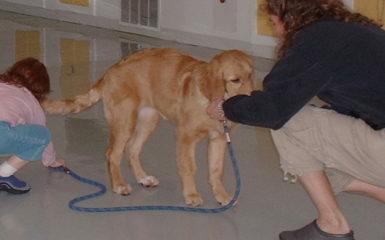 When a dog is tethered, he feels restricted and held back. This is very stressful on a dog. Many people don’t know what stress signs to look for in a dog. And of course a cute dog sitting outside invites petting from numerous people. Your dog may bite due to this stress. Your dog could also bite because the person does something that triggers him and he cannot move away from this person. 3.) Your dog can easily escape. Dogs do not enjoyed being leashed. Through obedience training the dog may have learned to associate the leash with pleasant on leash walks. A tethered dog wants to get away. He may definitely find a way to unhook the leash or break the leash. Remember you may lose your dog forever or your dog may get hit by a car. 4.) If it is hot outside, you should of course be concerned with your dog over heating. 5.) Tethering increases the chance that your dog will bark at people and other dogs. He maybe stressed on leash and his movement is restricted. This may encourage him to bark. He may also decide that this is his new territory and bark. 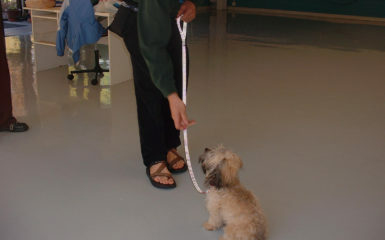 Obedience training should not be used to correct this issue instead the dog should not be tethered. When running errands, it is always best to leave your dog at home on hot days or safely in the car on a cool or cold day with the windows cracked. 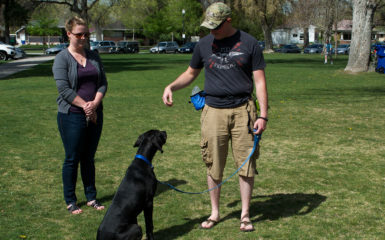 As a Salt Lake City dog trainer, I am hoping this inspires more people to be safe with their dogs. We want to hear from you! What new information have you learned about tethering your dog?